This walk can be done within the hour and unlike some of the other canal path walks in the area you won’t need your wellies if it’s wet as the path has been upgraded to a compacted fine gravel surface. This section of the canal has been restored and although the canal is essentially land locked as it doesn’t connect to any other canal networks yet the canal restoration people offer short boat trips usually at weekends in a small narrow boat. You would be best to start the walk at Ryeford as there is a small car park by the Upper Mills trading estate. For some reason this section of the canal is teaming with fish and on a sunny summers day you will probably see large numbers of them. From the carpark, walk over the bridge and then turn left at the canal path. 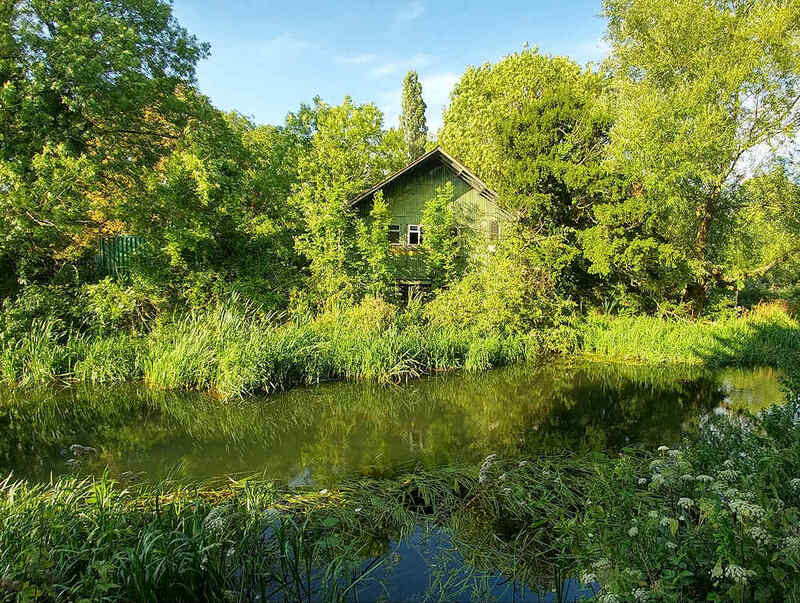 Very soon you will see an interesting green building on the other side of the canal made of corrugated iron. This used to be the rowing club boat house for Wycliffe college who I believe still own it, although it hasn’t been used for anything for many years now. Slightly on from that you will go under the old LMS railway bridge that crosses the canal at an interesting angle. It’s appropriately named Skew Bridge. Steps up the side of it take you onto it should you feel the need to walk over it! Other than a large water pipe that’s carried over the canal this is a fairly scenic stretch that takes you on towards a low swing bridge and the path is paved with flagstones. 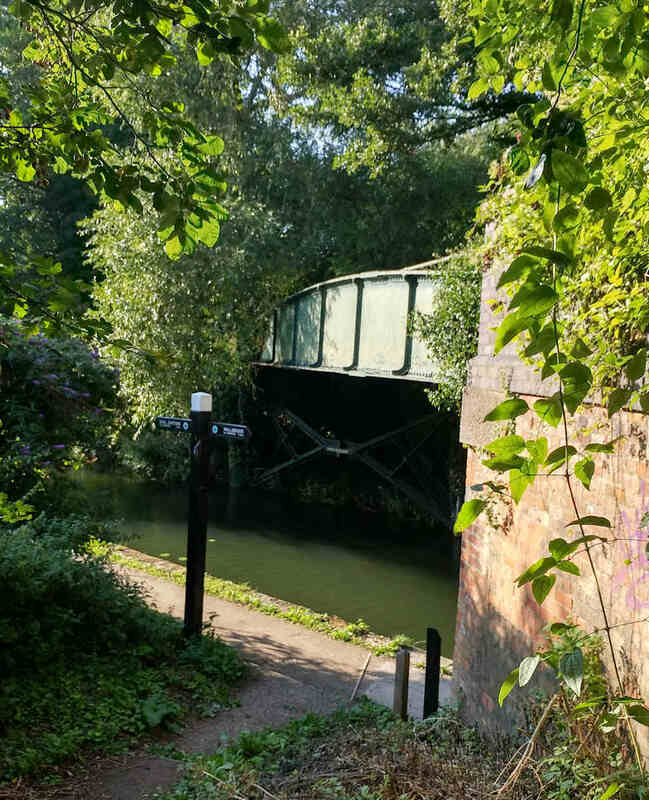 The low bridge was built to give the home owners a way over the canal. Along this section are quite a few information boards giving you the history of the canal and the local industry. As the Stroud valley was a hive of cloth making a number of supporting companies set in the valley to build some of the tools and machinery that they needed. To this end the whole Stroud to Chalford valley is very industrial, with many companies occupying the old mills. Under the Five Valleys menu there is a section detailing the many old mills in the area. Ever onward, you enter a recent tunnel that takes you under the relatively new Ebley bypass. Beyond this is the double lock at Ryeford, called appropriately the Ryeford double lock that was originally constructed in 1719. 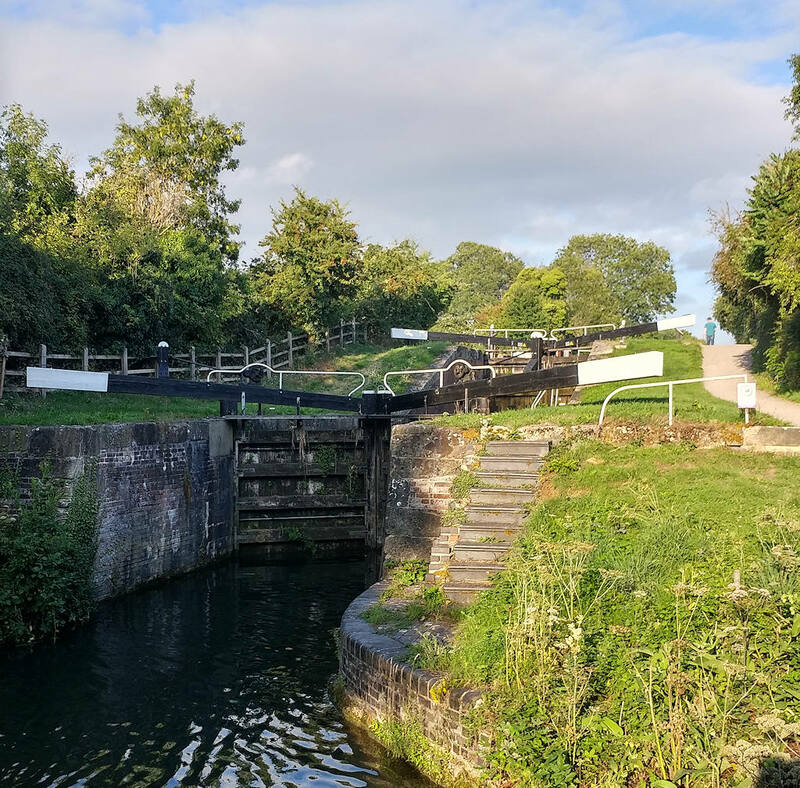 The canal restoration project started to restore the lock into its current working condition in 2011 as in 1987 the lock was in a somewhat derelict condition. Beyond the lock, if you look over to the right you get a good view of Selsley common and the All Saints Church with its distinctive saddle back tower that’s derived from french Gothic architecture. The church has stained glass windows designed by William Morris and was built in 1861 – 1862. The end of the walk (if you want it to be) is at Ebley Mill where there is a small bridge over the canal that leads to some shops and a cafe. 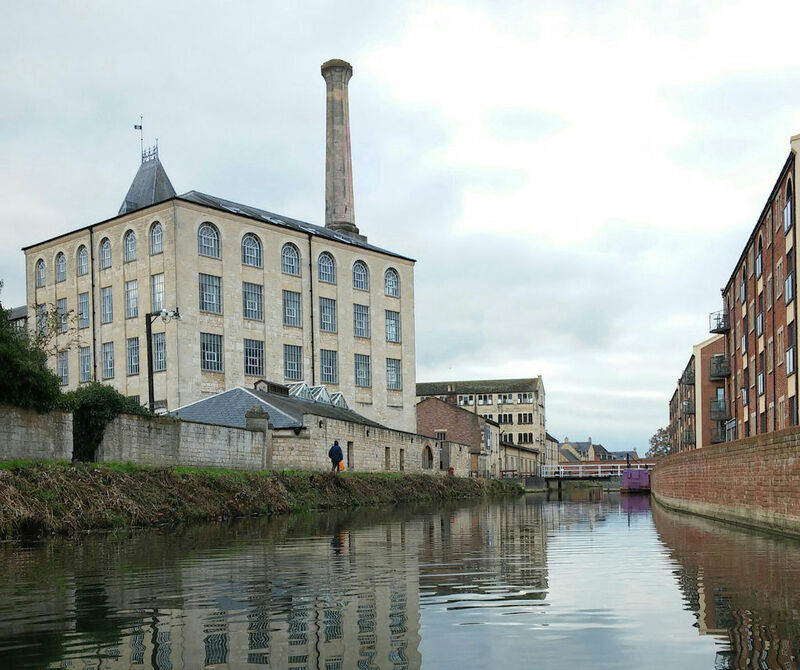 Ebley Mill is a huge old cloth mill that Stroud District Council moved into in about 1988. I seem to remember there being some controversy over this due to the high costs involved but as it’s 30 years ago and the Internet didn’t exist back then information on this probably only exists inside peoples heads or in the vaults of the local papers! From here you could carry on walking into Stroud but I will do that as another walk section.